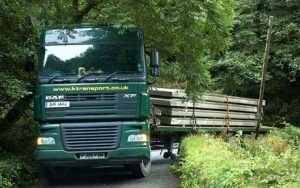 To avoid the problems that many residents have seen with “out of area” HGV drivers being led by satnavs onto narrow lanes, Fawfieldhead Parish Council is engaging with organisations such as local businesses and other Staffordshire Councils to improve HGV routing in the area. IS THE SOLUTION AS SIMPLE AS A SIGN?? Probably not..we need everyone’s best suggestions to get the best answer. Thank you for your letter of 24/10/16 and for the maps showing the relevant Parish boundaries and key roads in the area. Since the meeting of Fawfieldhead Parish Council at Reapsmoor Parish Rooms where Harvey Mitchell raised this issue with you I have had a number of conversations with others on the same subject. 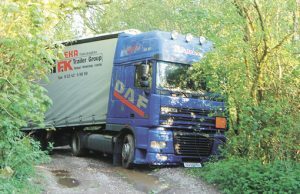 It seems that there is a continuing and increasing problem of HGV’s from far and wide, especially European hauliers, searching for businesses in the Ashbourne, Leek, Buxton triangle using satnavs. 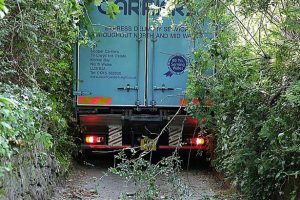 The local drivers know very well where they can and cannot drive their vehicles but for drivers not from this area it is a real problem. 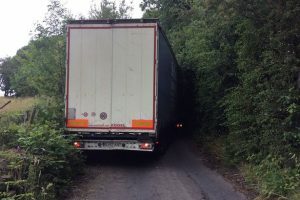 It is a regular occurrence to have lost HGV drivers in tiny dead end lanes in the area. 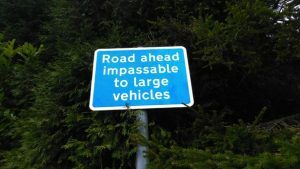 There have been requests (as you have seen) to have signs restricting access to Breech Road in the Warslow & Elkstones Parish. I am going to the Sheen Parish Council meeting tomorrow evening to request a minute or two to address the Councillors there on the subject. 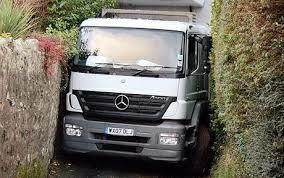 1) The residents to avoid encountering large vehicles on roads unsuitable for heavy traffic. 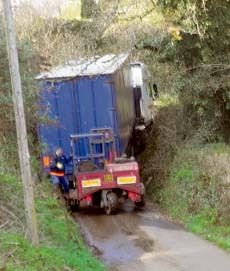 2) The Council to avoid the costly repairs resulting from heavy vehicles being on the wrong roads. 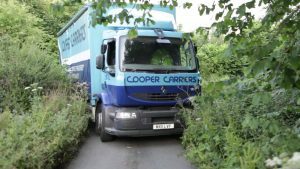 3) The local business, upon which many residents depend for their livelihood, to have a problem free flow of goods in and out of their premises. 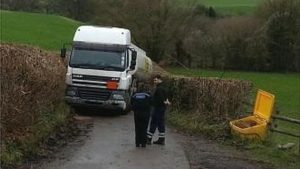 4) The HGV drivers themselves. I would be pleased to hear your views and wonder if you think it would be helpful if I arrange a meeting with interested parties from parish councils, local businesses and most importantly yourself, and your colleagues from DCC and SMDC. The agenda of this “Hear All” meeting would be to gather information about the issue and collect views from all interested parties with the intention of creating a sensible long term solution for all.